We’ve written for months about how warnings of economic collapse are no longer confined to the fringes of economic analysis but are now coming from major financial institutions and prominent economists, academics and wealth managers. The latest warning comes from one of the world’s most famous economists, Ken Rogoff, a professor of economics at Harvard University and co-author with Carmen Reinhart of the classic book on business cycles and debt crises, This Time Is Different (2009). 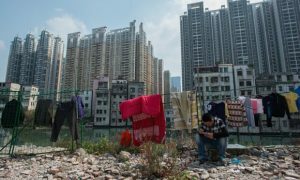 In this article, Rogoff writes that China is nearing the point of a “growth recession.” A growth recession does not involve declining GDP as in a normal recession, but it does involve a decline in growth to a level below trend that cannot sustain debt repayments and cannot create the jobs needed. Evidence of the new growth recession has already appeared but will get worse. Rogoff makes the point that a debt crisis resulting from a growth recession in China will not be confined to only China. Exporters to China will find that their exports drop, which will slow those economies. More importantly, Chinese savers will have to reduce savings in order to cover living costs as unemployment rises. This will cause Western interest rates to rise because funds otherwise available to buy U.S. and European debt will be used domestically in China instead. These contagion effects have the potential to spread globally. The entire process is exacerbated by the ongoing trade war between China and the U.S. In short, investors should not wait for these developments to play out but should increase their allocations to cash and gold ahead of the new meltdown.